Last of the posts from the Groupon extravaganza. I really shouldn’t wait until they’re about to expire… Seafood Shack in Treasure Island. Went on a Monday and ate at the bar, as is becoming my habit. I brought my kindle with me, and then didn’t read it because the people watching was better. Space was what you would expect of a low key restaurant on the Strip in Treasure Island. Service was good and I went with crab cakes and the cajun pasta, both of which and tip were easily covered by the Groupon. 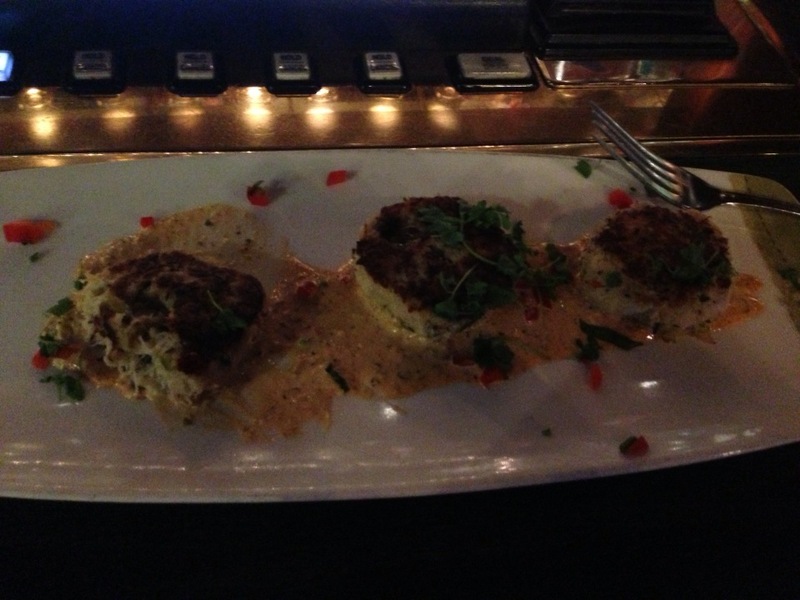 The crab cakes were good, though the quality was a little low. 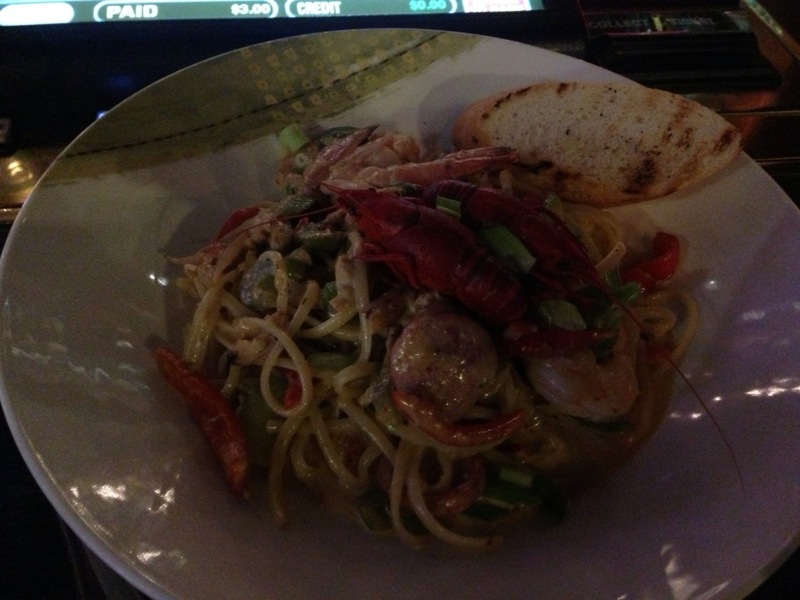 The pasta was something like you would expect from a restaurant like Applebee’s. Portions were generous with the pasta (more than enough to make two meals out of it). The bread that came with it wasn’t particularly great. All in all though, the $40 Groupon covered everything including tip (though I did leave another $5). Rating- 3.5/5 It was okay. Take it with a grain of salt, since this was the last of 4 restaurants in 3 days. Price range – Medium/Expensive. Depends on what you get.